A non-surgical, highly effective solution for disc related low back and neck pain. Decompression Therapy is a non-surgical traction based procedure that effectively treats disabling low back, neck, and radiating leg & arm pain. 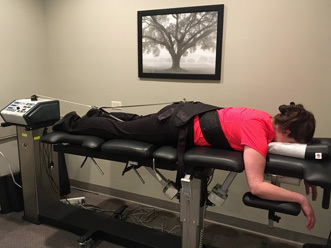 Decompression Therapy enhances the healing process and often renders quick, effective, and amazing pain relief that enables most patients to return to a more active lifestyle. Drs. 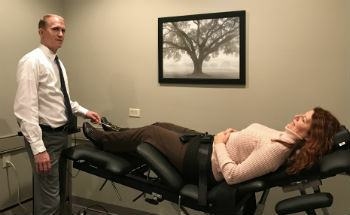 Casses and Keller have completed a certification course taught by the leading expert in spinal decompression, Jay Kennedy, D.C., who has trained doctors worldwide and treated thousands of patients using a variety of decompression systems. This certification course is approved by leading Chiropractic Colleges. This treatment helps patients avoid the risk of anesthesia, surgical complications, and the potential of failed back surgery. After treatment, your doctor may prescribe specific exercises designed to help you regain proper control and strength of the stabilization muscles with can help create long term benefits. Decompression Therapy is administered to patients fully clothed either face down or face up on the table. Clinical studies suggest Decompression Therapy provides a majority of qualified candidates with initial relief within just a few sessions. Decompression Therapy is an approved procedure that is covered by some insurance companies. This proven, non-surgical approach could help you find the pain relief you need. Spinal decompression worked for me! I used to be very skeptical of chiropractic care, but my life changed when I walked into Casses Chiropractic and was treated. For several visits I received manipulations, spinal decompression therapy and electric stimulation treatments. After several weeks of decompression treatments, I was able to walk upright and my pain was reduced. I feel so blessed to be in the care of Casses Chiropractic. Dr. Scott, Dr. Chastity and Dr. Rochelle are truly committed to their patients’ well being, listen when concerns are shared, and offer guidance and explanations. They know that healing takes place on all levels – physical, emotional, mental and spiritual. 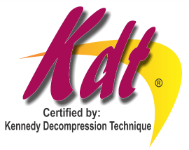 Contact us today to find out if you are a candidate for Decompression Therapy.